This presentation, by NESCA Intern Abigail Lindsay, will highlight four major types of augmentative and assistive technologies: sign language, PECS (picture exchange communications systems), dedicated devices and various iPad apps. 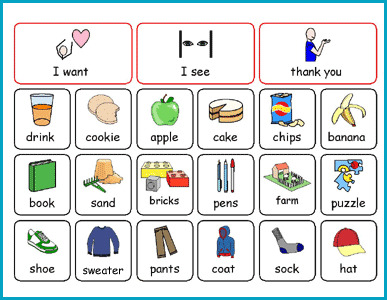 Abby will focus on the pros and cons of each in the context of practical, day-to-day use for nonverbal kids at home and in the classroom. She will discuss what features are important to consider when matching a child for a device, and talk about what resources are available to aid in the AAC matching process. She will also discuss the research on how AAC can help nonverbal children develop speech, and how the devices can often allow for personality and independence to emerge in these AAC users. Free and open to the public; advance registration is appreciated. RSVP to Jennifer Stockwood at 617-658-9800 or by email to jstockwood@nesca-newton.com.